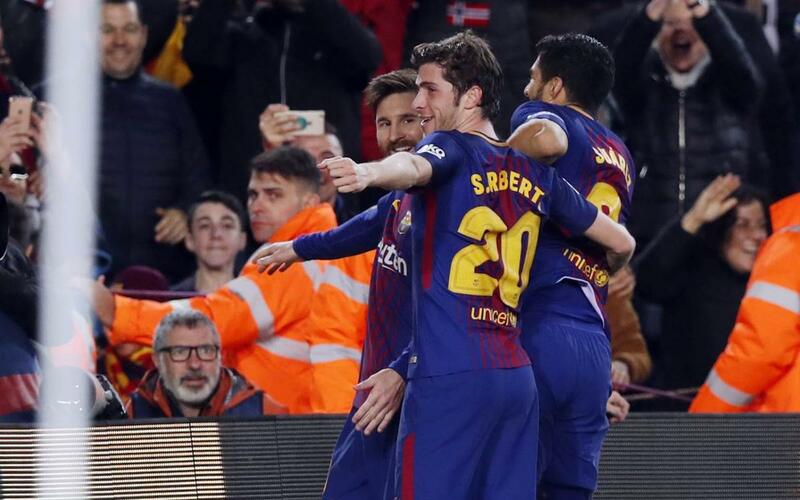 Sergi Roberto is one of the most fundamental pieces of the squad at FC Barcelona, not just for his actions, but also his growth over the last few seasons, especially the last three in which he has become a leading player. This year, he has participated more in an offensive sense, and consequently is more influential. Seven assists and a goal since August indicate this, more so if you compare it with the stats from the previous two years. Although it’s true that the number of games played at this point of each campaign is very similar, regarding the table below, it is necessary to take into account that in the 2015/16 season, he played in the European Super Cup and the Club World Cup, which haven’t taken place in the other two seasons. At 14, Sergi Roberto arrived at La Masia and played in the youth categories of FC Barcelona. The midfielder did well at every stage until he became a fixture at Barça B in the 2009/10 season, at that time led by Luis Enrique Martínez. His unstoppable rise ensured that he made the final jump up to the first team during the summer of 2013. Since then, five years have passed and he has become increasingly essential. Recently renewed until 2022, and at just 26 years old, his record of titles won is also brilliant: 4 Leagues, 4 Cups, 2 Champions Leagues, 2 European Super Cups, 4 Spanish Super Cups and 2 Club World Cups.